The Kalnik-Igrišče archaeological site is situated in the protected landscape of Mount Kalnik at around 500 m above sea level. The first systematic archaeological excavations were carried out in the period 1988-1990 (Archaeological Department of the Faculty of Humanities and Social Sciences in collaboration with the Križevci Municipal Museum, managed by Prof Nives Majnarić-Pandžić). This site, Kalnik-Igrišče 1, yielded the remains of a settlement dating from the 13th-11th century BC. That casting activity was practiced in the settlement is borne out by fragments of metal-casting moulds, remains of slag and abundant utilitarian bronze objects. In 2011, a Copper Age layer with pottery of the Lasinja culture was discovered at the same position. 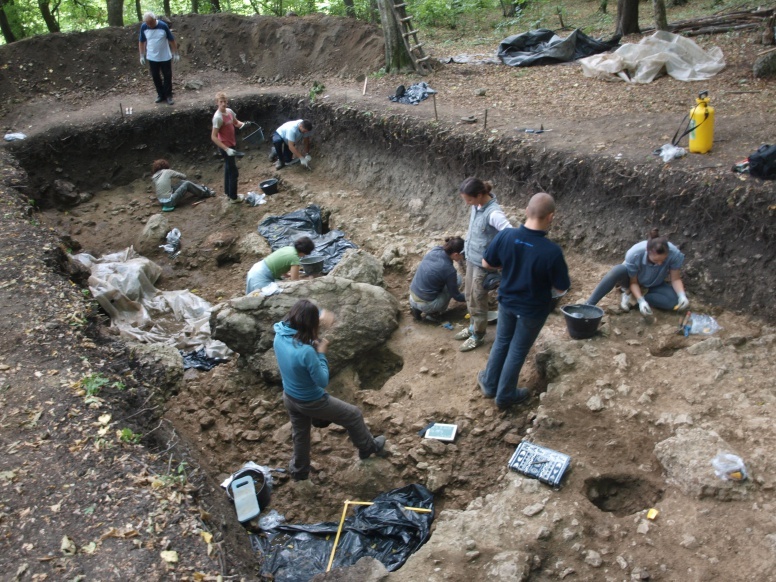 The excavations were resumed in 2006 by the Institute of Archaeology in Zagreb. A stratified site discovered on a prominent plateau yielded finds from Antiquity (3rd and 4th century), Late La Tène and the Late Bronze Age. A part of a prehistoric settlement from the Late Bronze Age was uncovered, together with a well-preserved house. In addition to an abundance of pottery and everyday utilitarian objects made of clay and stone, the Late Bronze Age house yielded a large quantity of carbonized cereal grains, pulses and weeds. The remains of wild apple and acorn suggest that the inhabitants of Kalnik were not only growing plants, but also collected them in the surrounding forest for their diet. 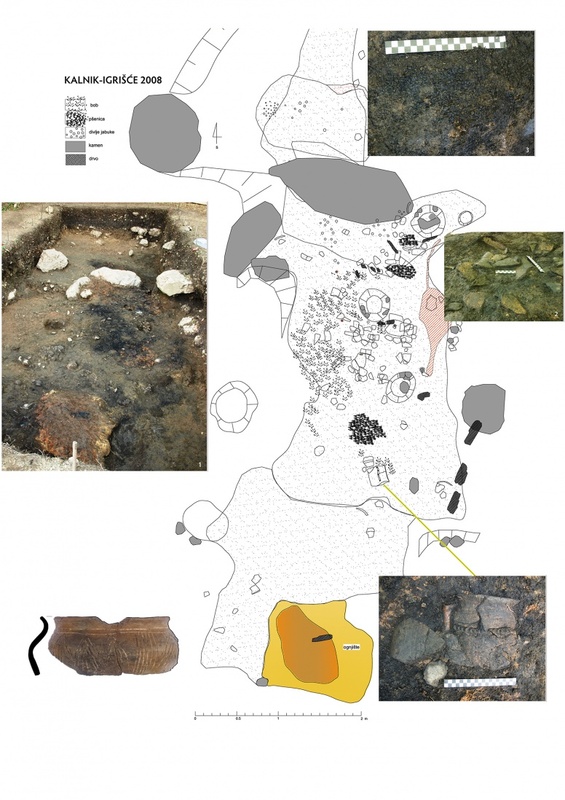 Carbonized remains of food were analysed as part of a dissertation at the Department of Botany, Faculty of Science in Zagreb (Dr Sara Mareković). A part of the assemblage was published in a foreign publication by the project manager: “The Urnfield Culture in Continental Croatia”, Oxford 2009. 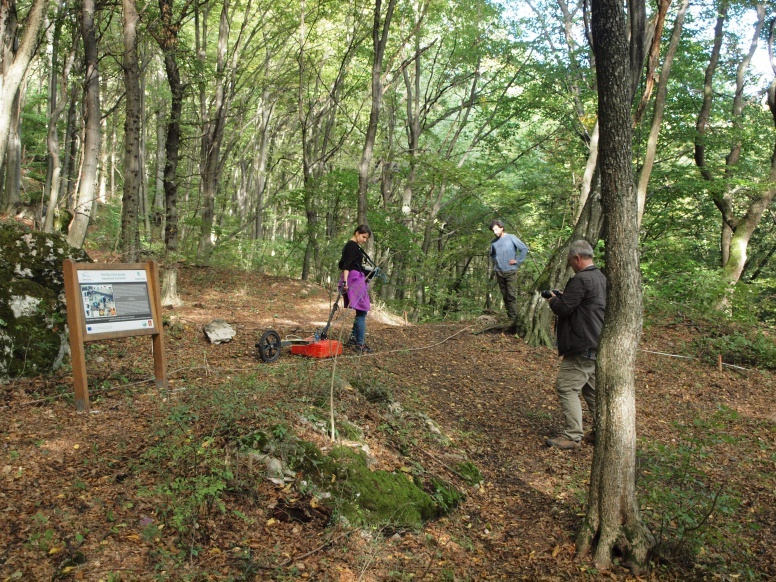 An extensive field survey of the southern slopes of Mount Veliki Kalnik was carried out in 2012 as part of the research of the wider context of the Bronze Age settlement. In 2003, geophysical measurements were carried out at several positions at Igrišče. Archaeological investigations are underway. Majnarić-Pandžić, N. 1992, Ljevaonica brončanih predmeta u kasnobrončanodobnom naselju na Kalniku kod Križevaca, Opuscula archaeologica, 16, 57–73. 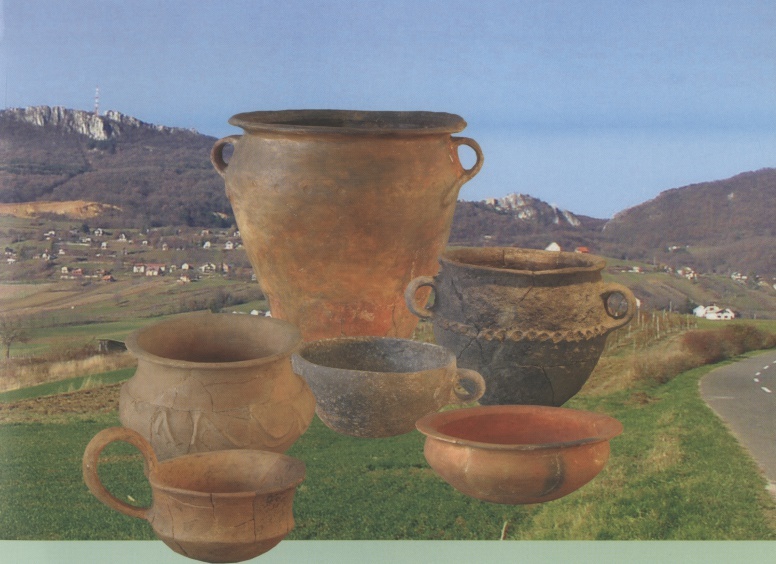 Vrdoljak, S. 1994, Tipološka klasifikacija kasnobrončanodobne keramike iz naselja Kalnik-Igrišče (SZ Hrvatska), Opuscula archaeologica, 18, 7–83. Vrdoljak, S. Forenbaher, S. 1995, Bronze-casting and organization of production at Kalnik-Igrišče (Croatia), Antiquity, 69, 577–82. Karavanić, S. 2009, The Urnfield Culturen in continental Croatia, BAR International Series 2036, Oxford. Karavanić, Kudelić, Mareković, Šoštarić 2015. Tragovi prošlosti na Kalniku – sačuvani u vatri, CRIS XVII 2015, Križevci, 116-127.